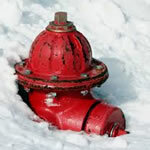 By keeping the hydrant clear of snow and ice during the winter months, you will be providing a helpful service to the West Allis Fire Department when accessing the fire hydrant. This is a voluntary program. Please contact the West Allis Fire Department at (414) 302-8900 if you have any questions. 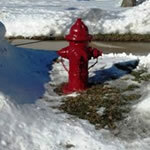 Click to view a map of hydrants in West Allis. You can zoom in to your address to see hydrants nearby and find the ID number of the hydrant. Optional, but you may be able to find a metal tag with an ID number on the hydrant or locate it on the West Allis Hydrant Map. Thank you for volunteering to Adopt a Hydrant. The West Allis Fire Department will contact you to confirm that the hydrant you selected is available for adoption. Thank you for helping our community! Your neighbors will appreciate your efforts.